Rwanda is voting in a referendum on a constitutional amendment to allow President Paul Kagame to seek a third term in office. Most voters, some 6.4 million, are eligible to vote on December 18, but around 37,000 Rwandans living overseas were able to have their say on December 17. The change would allow Paul Kagame to potentially remain in power until 2034. Rwandans are expected to vote overwhelmingly in favor of changing the constitution. Paul Kagame is praised at home and abroad for bringing about development and economic growth. However, the president’s critics accuse him of heavy-handed rule and human rights abuses. Paul Kagame himself has said he will wait for the outcome of the referendum before making his decision on whether to run in 2017. Rwanda’s Senate approved draft constitutional amendments last month allowing Paul Kagame to run for another seven-year term. But the amendments also shorten the length of a term from seven to five years and maintain a two-term limit. However, those rules would not come into effect until 2024, after Paul Kagame’s third term. Paul Kagame could then potentially run for another two five-year terms – ruling for some 40 years. The president’s Rwanda Patriotic Front, an ethnic Tutsi rebel force, ended the 1994 genocide perpetrated by Hutu extremists. Some 800,000 people – Tutsis and moderate Hutus – are estimated to have been killed. Donor countries, which support the Rwandan government, have been very critical of the move to change the constitution. The US urged Paul Kagame to step down in 2017, saying he had “an opportunity to set an example for a region in which leaders seem too tempted to view themselves as indispensable to their own countries’ trajectories”. 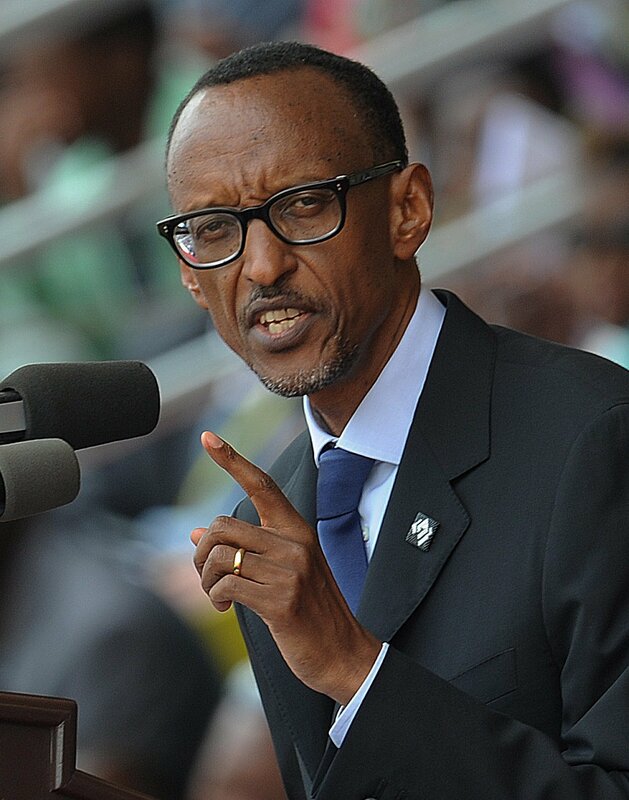 Paul Kagame has hit back at “other nations” for interfering in Rwanda’s internal affairs. But the issue of African presidents seeking a third term in office has caused unrest elsewhere on the continent. Violence has engulfed neighboring Burundi since President Pierre Nkurunziza announced in April his plans to seek a third term, in violation of a peace accord that brought an end to the country’s brutal 12-year ethnic civil war. In September, there were major protests in the Republic of Congo as President Denis Sassou Nguesso called a referendum to approve constitutional changes allowing him to stand for a third term.